When suffering from a sore throat caused by tonsillitis, eating and drinking may not sound appealing. Tonsillitis often causes throat pain when swallowing, fever and chills, ear or jaw ache and a fever. Still, eating nutrient-rich foods that are easy to swallow is ideal to promote healing and decrease the tonsil infection. Johns Hopkins Medical Center states that children between the ages of 5 to 15 most commonly suffer from tonsillitis, but adults may also be diagnosed with the infection. Patients with frequent bouts of tonsillitis or who have difficulty breathing caused by enlarged tonsils may opt for surgical removal. Hydration is critical when suffering from tonsillitis. Additional liquids will keep your energy levels stable and avoid dehydration to occur. If you become dehydrated your recovery time may take longer. 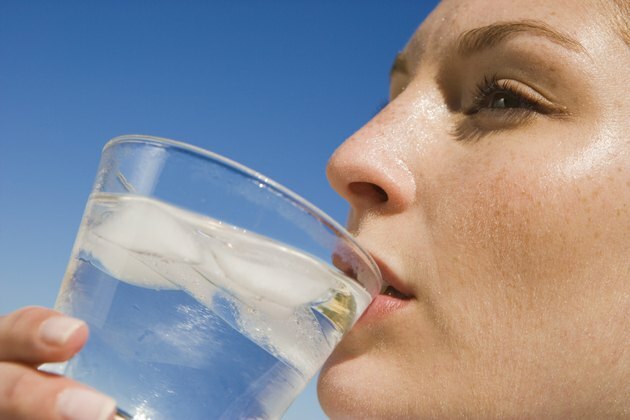 Choose cold or lukewarm beverages such as ice water, clear juices or chicken broths. Beverages may be consumed warm, but avoid hot beverages that may further irritate your sore throat. Juices with large amounts of acid should be avoided. These include grapefruit juice, lemonade and orange juice. Cola and caffeine-related products such as coffee and tea are also discouraged; however, non-caffeinated herbal tea is fine as long as it is consumed warm instead of piping hot. 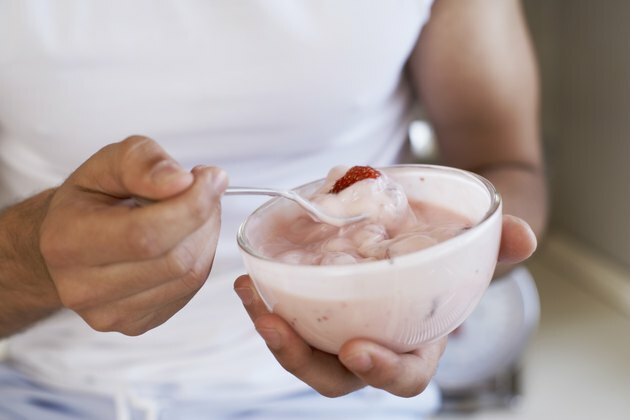 Introduce soft, bland foods such as pudding, applesauce or yogurt. Creamy substances are easy to swallow without much pain. Slowly introduce more food as your sore throat begins to improve. Baked fruit and vegetables, such as baked apples, baked pears and roasted carrots are good choices for side items. 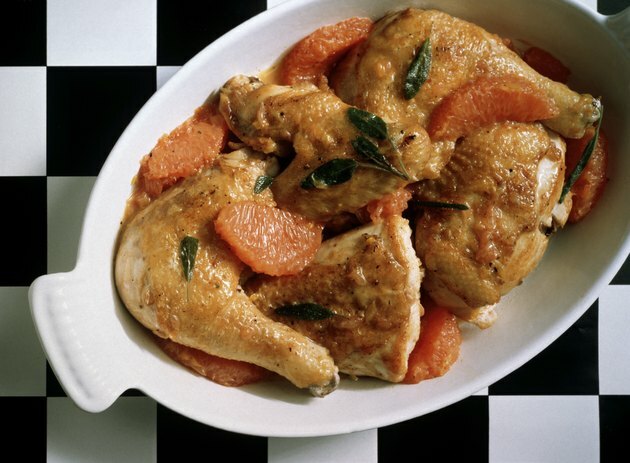 Mashed potatoes, winter squash, plain pasta and rice are also ideal soft foods. In addition, soups that contain vegetables, pasta, and/or soft pieces of meat are a healthy choice for patients with tonsillitis. Progress to solid, normal foods when you feel you are ready. Tonsillitis may cause a sore throat to last several weeks. Take pain-relieving medication such as acetaminophen to avoid pain when eating. It is still important to avoid some solid foods until your tonsillitis is completely cured. Choose solid foods that will not irritate your throat, such as baked chicken, roast beef, whole grain breads and whole fruits. Hard crackers, pizza crusts, crisp cookies and crackers are too hard and crunchy for your sore throat to enjoy. Save these snacks until you have fully recovered. When you are suffering from tonsillitis, place a humidifier by the couch or bed for additional moisture in the air. Warm showers also may help to relieve your symptoms. The humidity from the humidifier or shower soothes your sore throat. If you are prescribed antibiotics, it is critical to take all medications prescribed and to never skip a dose or the infection may return. Children should avoid school for 24 hours after beginning a course of antibiotics to avoid spreading infection, advises MedlinePlus.